The Videogame BANG! was made for loving you baby, were you made for loving me? Yes that’s right!? 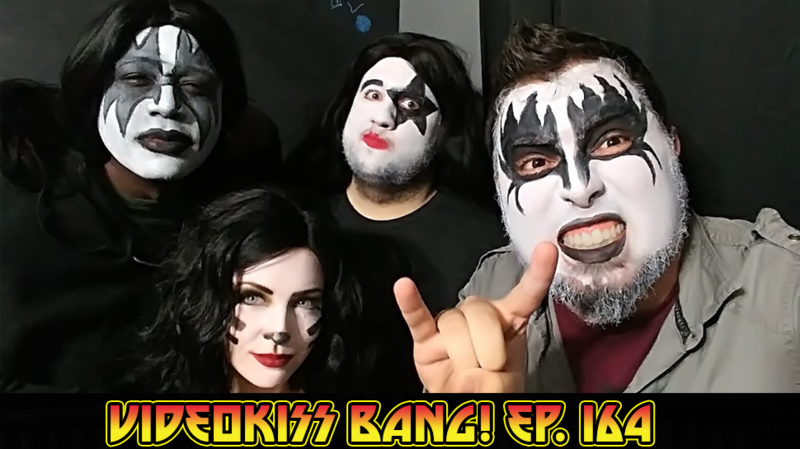 We are keeping true to a conversation we had roughly two years ago when we said that when we hit 1k followers on Twitch we would do an entire show in KISS make-up! You dive us wild and we are driving you crazy! In video game new this week we are talking about the full blown release of Sombra on Overwatch, We talk about EchoFox and their CSGO team, Super Mario Run, the Telltale Guardians of the Galaxy rumors, and Xbox turns 15! We also play a round of Whatcha Playin’ where Cory talks about his brush with Deadmau5 and getting to play Rocket League with Sadjuni0r! Jessica talks about her experience at BlizzCon, LA Comic-Con, Webbs Spreadin’ the news and a whole lot more! ALL THAT AND WE ARE IN KISS MAKE-UP!GET READY TO ROCK AND ROLL ALL NIGHT AND PARTY EVERYDAY!